Some time ago I received a cookbook called The Complete 15 Minute Gourmet. I’m often disappointed with books like this as they tend to use all types of prepared foods (condensed soups, prepackaged mac and cheese, etc). However, this book is different, very different. Enough so that it has earned a permanent home in my cookbook collection. Instead of prepackaged preservative packed foods, these recipes use fresh ingredients and everything tastes wonderful. I’ve already made 4 different recipes from this book and have several others earmarked, 2 of which are on my dinner menu this week. 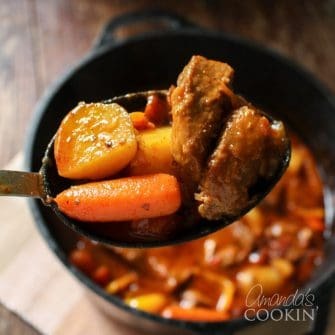 I’ve written a review of this cookbook which is available on FamilyCorner.com, and will share all four of the fabulous recipes here that I have made and enjoyed. 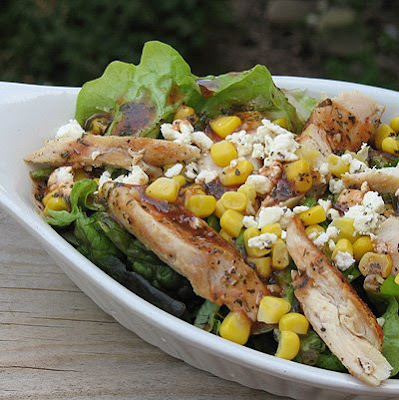 Today is Grilled Chicken Salad w/Herbed Tomato Vinaigrette which can be found on page 20. My mother in law was here for a visit and we were both hungry for a light but satisfying lunch. I thumbed through the book and found this. She and I both loved it and I will definitely make it again. I did substitute romaine lettuce for the spinach leaves as that is what I had on hand. Heat a stovetop grill pan over high heat. Lightly brush both sides of the chicken breasts with oil. Reduce the heat to medium-high; cook for 5 minutes per side or until lightly browned and thoroughly cooked. Transfer to a plate and sprinkle with salt and pepper. Cover to keep warm. 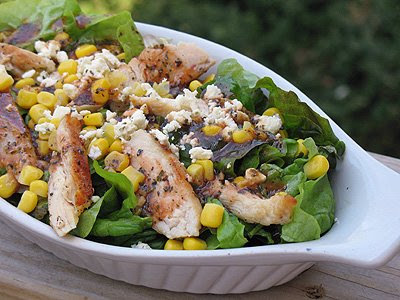 While the chicken is cooking, whisk together the vinaigrette ingredients in a small bowl. Rinse the spinach in cool water. (I skipped the next section for wilting as I used romaine instead) Transfer to a Dutch oven over medium-high heat. Cover and cook without additional water, except for the drops that cling to the leaves, for 2 minutes or until slightly wilted. Uncover and remove the pan from the heat. Slice the chicken into 1/2 inch diagonal strips. To assemble the salads, spread steamed spinach on each plate. 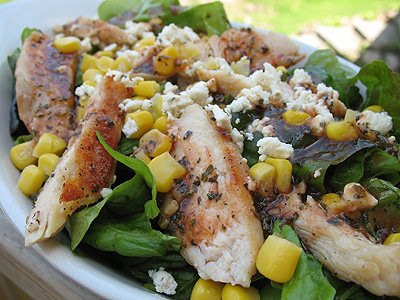 Top with the chicken strips, corn, and chevre cheese. Stir the vinaigrette and drizzle it over the salads. WoW! 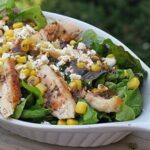 this salad look simply irresistible!! Thank you for sharing. Oh Mary, I had almost forgotten about this recipe, thanks for reminding me. It's SOOO good! Looks really good. So I copied your recipe for later use. Thanks for posting.